The big challenge when it comes to industrial projects in developing countries is to find simple and durable equipment that give high productivity and quality. Klas Bengtsson in Sweden has made this challenge his mission in life. 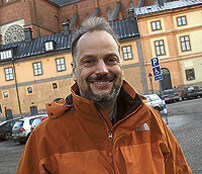 Klas has a past as a researcher at the Swedish University of Agricultural Sciences in Uppsala. Nowadays, he is CEO for SSC Forestry, which has activities all over the world. The organization works with sustainable forestry, which includes environmental certification of forestry and projects that aim at processing and marketing forests in a responsible way. “Leaving a forest to take care of itself is not good environmentalism,” says Klas. Five years ago, SSC Forestry participated in a project in Tanzania. The problem was a large pine wood that had been planted with no thought of the future. The plantation was in poor condition and the owners were thinking about burning it down and instead planting eucalyptus. 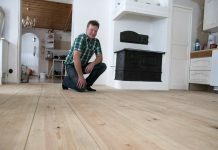 “A planted wood is wrecked in 20 years if you do not take care of it,” says Klas. Instead, SSC Forestry made a scheme in three parts. The plantation had to be managed efficiently and on a long-term basis. The outcome was that the entire plantation became the first in Tanzania that was environmentally certified by the Forest Stewardship Council (FSC). 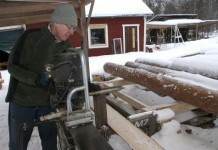 They found export customers for building lumber, but the proceeds could not cover the cost for a traditional large-scale sawmill. “Developing countries lack the infrastructure and knowledge required for managing such a plant,” says Klas. 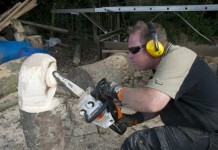 Instead, the solution was to invest in eight frame saws from Logosol-Laks, and one second-hand bandsaw from South Africa to produce the cants. SSC Forestry also runs a project in El Salvador, where they will cover the whole chain from seedling nursery to finished products. The seedling nursery is already fully running, and plants are being sown. 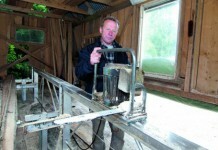 The next step is to build a sawmill according to the tested method with equipment from Logosol. 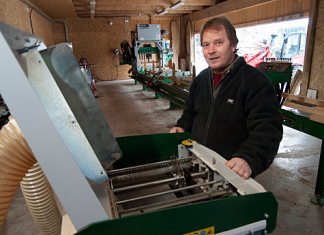 Klas Bengtsson has used Logosol equipment since the early 90s. 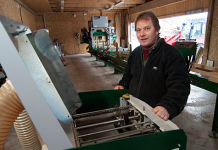 As a researcher at the University of Agricultural Sciences he used the Logosol Sawmill as a tool in education and research. Later, as a consult, he used it when teaching forest owners the value of their own forests. 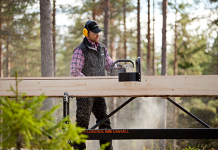 When Klas needed to bring the Logosol Sawmill in his baggage on a flight, the problem was solved by dividing the guide rail in two pieces that then were joined together with a joint coupler. Today, all Logosol Sawmills look this way.